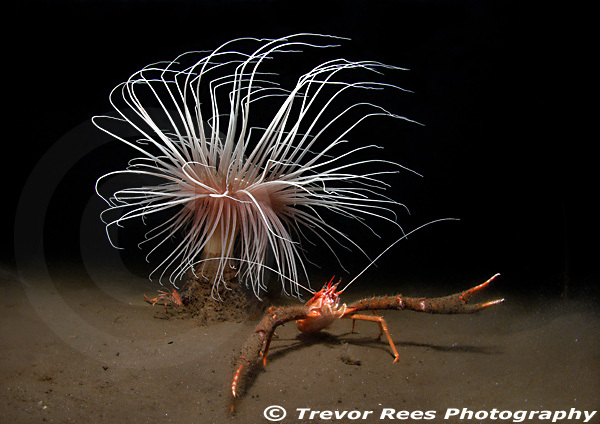 My image of a fireworks anemone (Pachycerianthus multiplicatus) with a long clawed squat lobster (Munida rugosa) from Loch Goil in Scotland is awarded 'Highly Commended' and appears in the British Wildlife Photography Awards 2012 official book. Fireworks anemone (Pachycerianthus multiplicatus) with a long clawed squat lobster (Munida rugosa) from Loch Goil in Scotland. Awarded 'Highly Commended in the Coast & Marine category in the 2012 BWPA awards.